While the price for mid-range to top-line Android smartphones has been in the $200 to $400 area, we could be on the cusp of a big price drop. This is from the person who should know more about Google pricing than most anybody, Google Executive Chairman Eric Schmidt. According to a report to his clients, Ovum Research analyst Tony Cripps wrote "Schmidt's expectation that Android smartphones will be available between $100-$150 by next year already looks inevitable and will begin to redefine the handset market as a whole. The eventual goal of seeing the price of Android devices brought down into the $70 range also looks realistic to us with the advancement of technology and huge economies of scale that are starting to drive the Android economy." Gartner analyst Ken Dulaney notes that Nokia is already offering Symbian powered smartphones at the lower price and that as long as there are customers shelling out $400 for a pair of Nike Air Jordan sneakers, there will be people willing to pay $200 for a smartphone. It's one thing to sell handsets at a low price, but can a company make money at that level? Current Analysis analyst Avi Greengart brought up the point that Nokia makes nice profits on its low priced featurephones and as that market slowly moves to smartphones, profits can still be made. Greengart says that this low margin game isn't for every OEM. He says manufacturers that want to assure themselves of high margins should stay out of low margin areas, a game plan used by Apple, notes the analyst. "Apple is slowly pushing down into lower price tiers, but is doing so at its own pace and is not chasing market share or unit volumes if it can't get the margins it wants," said Greengert. The Current Account analyst also believes that carriers should be happy about lower priced hardware because it leaves the customer with more money to spend on the carrier's data plans. 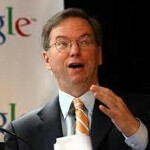 As for Google, Eric Schmidt seems to be on the right path. Lower priced handsets mean huge growth in Android users which means more viewers for mobile ads which means more money in Google's pockets. In fact, our old buddy from Piper Jaffray, Gene Munster, sees Android business reaching $4.5 billion in 2012, up an incredible 80% from 2011. As Ovum Research's Cripps comments, Android's amazing growth thus far may seem modest when compared to what happens in the future. I like the way this man thinks and works. chips become smaller, more powerful, and cheaper at the same time. technology matures. 10 years ago you couldnt buy a desktop for 2000 that equals the power in an average $500 laptop. Thumbs up man...but although that's very true, we can't discount technology itself advancing. What I mean by that is that smartphones, although very powerful, still don't equate to what an actual computer can do. Our smartphones may drop dramatically in price, but something else will replace it at that higher price point. Maybe we will be able to actually carry the power and function of a computer in our pocket, which will render our current smartphones the equivalent of a feature phone to us today. Technology will always be cheaper (inflation), but it doesn't mean that the best technology on the market will be affordable by everyone. When things become too cheap, manufacturers will add something to drive up the price and give you more options.